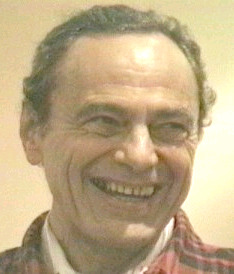 Eugene T. Gendlin received his Ph.D. in philosophy from the University of Chicago and taught there from 1963 to 1995. His philosophical work is concerned especially with the relationship between logic and experiential explication. Implicit intricacy cannot be represented, but functions in certain ways in relation to philosophical discourse. The applications of this “Philosophy of the Implicit” have been important in many fields. His philosophical books and articles are listed and some of them are available from this web site. They include Experiencing and the Creation of Meaning, (in paperback) and Language Beyond Post-Modernism: Saying and Thinking In Gendlin’s Philosophy (edited by David Levin) , both from Northwestern University Press, l997 and A Process Model. Gendlin has been honored four times by the American Psychological Association for his development of Experiential Psychotherapy. He received the first “Distinguished Professional Psychologist of the Year” award from the Clinical Division, an award from the Philosophical Psychology Division, and he and The Focusing Institute received an award from the Humanistic Division in August of 2000. Division 24 is giving him (2010) their highest award for Distinguished Theoretical and Philosophical Contributions to Psychology. In 2008 he was awarded the Viktor Frankl prize by the city of Vienna and the Viktor Frankl Family Foundation.